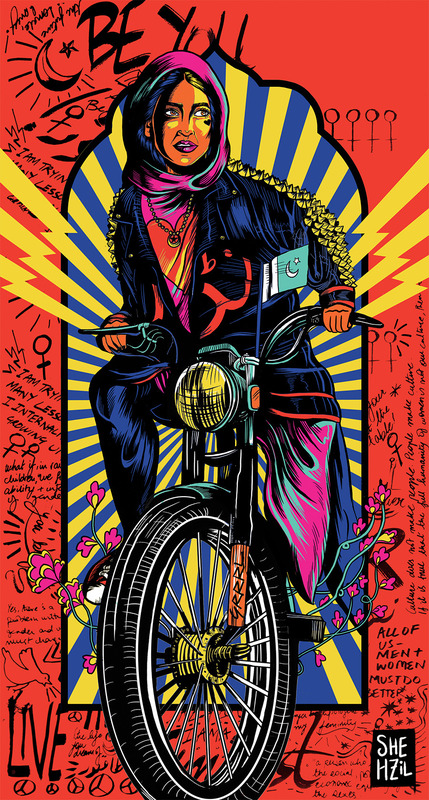 Shehzil Malik has made a name for herself with art and design projects that champion feminism, celebrate urban Pakistan, and help unite neighbors after devastating attacks. 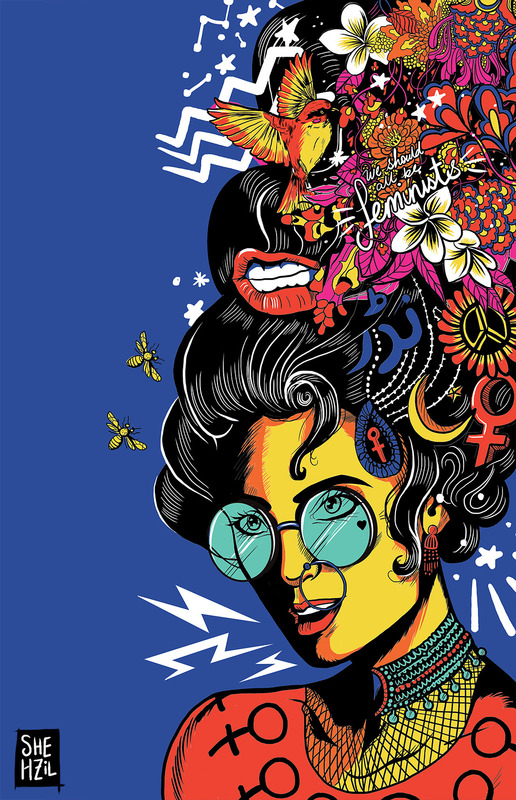 But she didn’t set out to specifically create art and design for social change. It wasn’t until she began working for Uth Oye!, a socially conscious apparel company in Lahore, after college that she discovered that she could make a living while creating projects to further the causes she cares about. As a Fulbright scholar, Malik had a lot of friends in the development sector and frequently helped their organizations with branding and design. Her experience with Uth Oye! 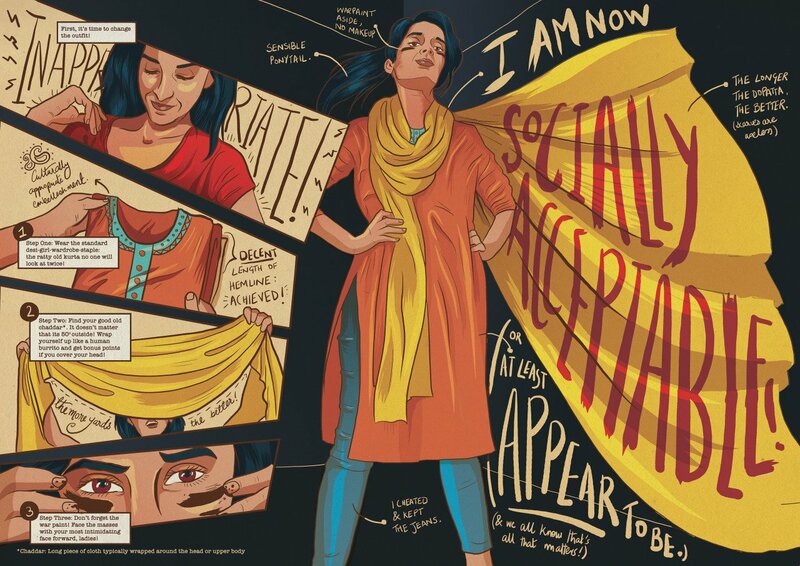 — Urdu for “Get Up”— fostered a deeper commitment to art and design for change, she said. 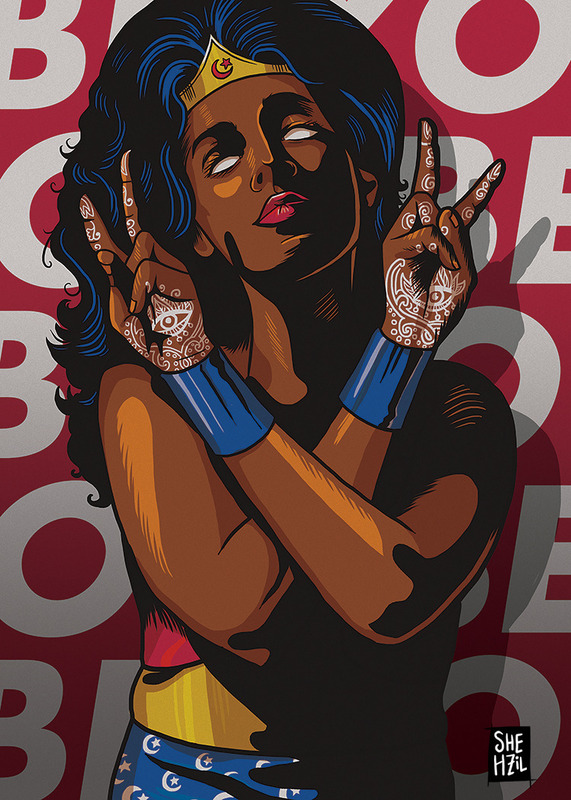 In addition to her design work, Malik creates striking art projects, including works of public art that involve diverse community members and a mural on the site of a deadly bombing. “There are so many people who were devastated and horrified,” she said. “It reaffirmed my faith in my own country because I was like 'Yes, we are all the same and shocked at this.' That's the power of art. Nobody's standing on a soapbox and preaching. I think it's a very gut instinct that makes you feel empathy." Despite its impact on people around the world, Malik’s art is inherently personal. "Art was something I did on the side for myself and if something would upset me, I’d make art,” she said. “So a lot of my stuff that is now something I've become known for was done when I was in a dark place and feeling angry." "But you can't really make a career out of being angry all the time,” she continued. “So that's why I balance it out with deliberate decisions about what kind of people I work with and what companies I work for. That way, the art remains an honest and authentic expression." 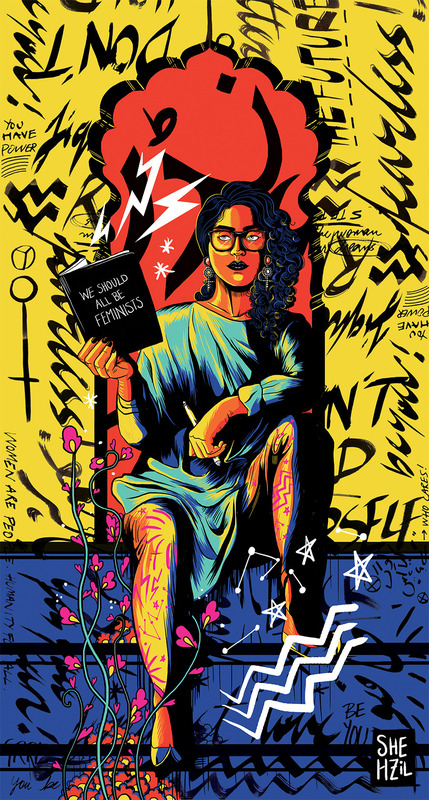 Malik said she finds inspiration from artists from around the world, including contemporary creators like the author Chimamanda Ngozi Adichie and feminist artist Judy Chicago. "The people I look up to are alive right now and it's amazing to see what they're creating,” she said. “I read artists' interviews all the time to see their process and how they do what they do." She comes across new influences the same way people worldwide have discovered her work: the internet. 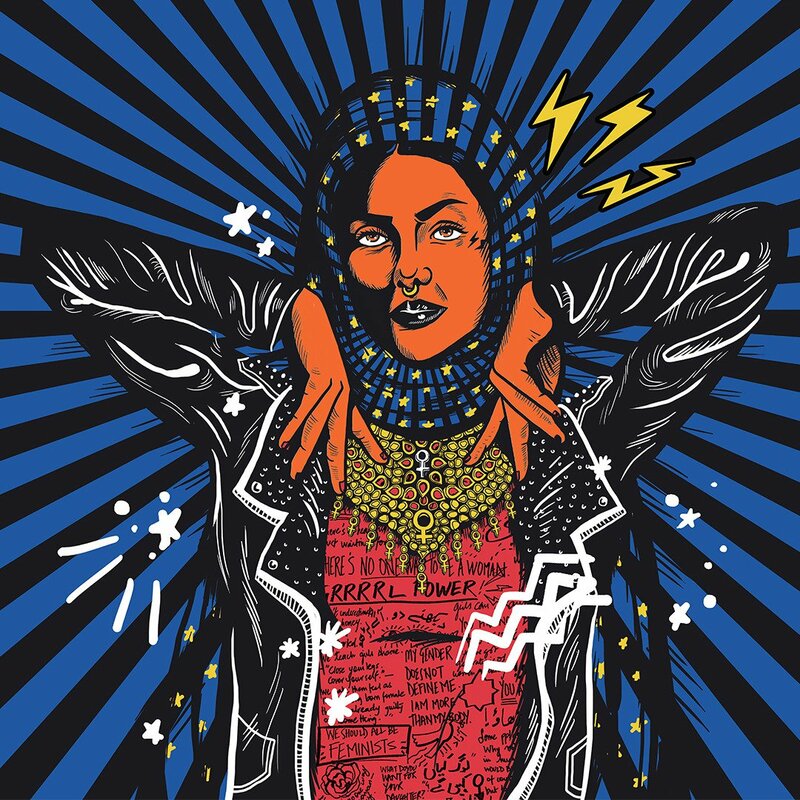 But for her best known project, a line of feminist t-shirts, Malik had the opportunity to translate the ideas one uncovers online for a broader audience, including people without access to the internet. "My work is usually seen on the internet and it's a very specific segment of Pakistani society who are are online,” she said. “So with clothes, you're basically taking artwork and turning it into public art. Each person is a walking piece of public art and that was very exciting to me." 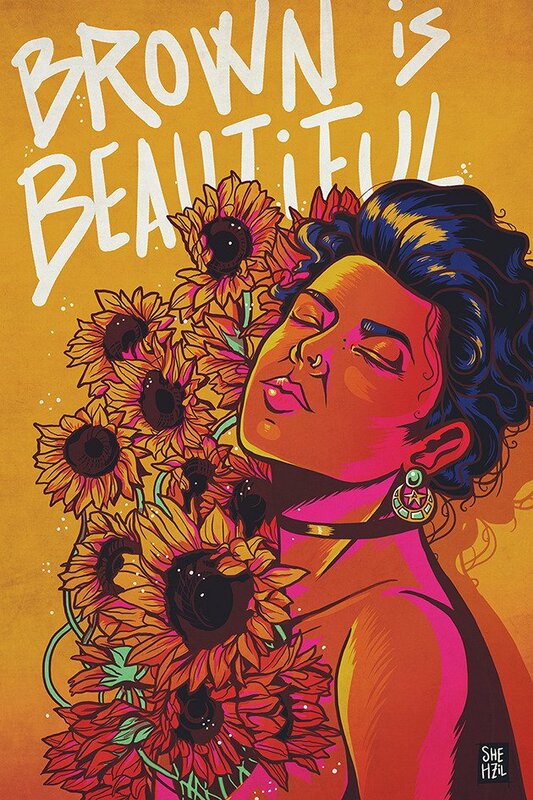 Malik said she recognizes that clothing designs alone won’t change systemic problems like violence against women, but they enable people to encounter new ideas “under the cover of art.” And as with most of her art, the line of t-shirts blossomed out of her own experiences. “For me, it's more about the journey with this line,” she said.” It started with me drawing about feeling uncomfortable in public spaces, not feeling safe, and feeling observed. It was not done with any intention for it become as big as it did." Ultimately, Malik aims to help develop a “modern Pakistani visual language” that demonstrates what does it mean to be young and Pakistani. “You can't keep rehashing the old patterns and times,” she said. “We have a strong visual language when it comes to our crafts and our historic architecture and poetry. But in design and illustration, we are still trying to create a language so that’s what i very deliberately try to do."